Check out some recent guest reviews of their stay with us and why we are rated the number 1 place to stay in Gilroy. Five star service and staff – that’s our promise to you and your family, no matter how long you stay with us, no matter what room you choose to stay in. Of course, you do not have to take our word for it. 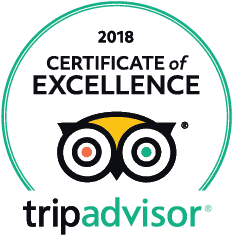 You can view our online reviews on TripAdvisor, a travel website that generates reviews and other content from users, and read what our past customers say about us and what makes us one of the best hotels Gilroy, CA boasts of. These reviews are based on six criteria: value, location, sleep quality, rooms, cleanliness and service. says "Great Value, Clean and comfortable!" says "2nd time staying here"
Visit the Best Western Plus Forest Park Inn TripAdvisor page for many more! To date, we have over 700 reviews over at TripAdvisor, making us one of the top hotels in Gilroy. We’re conveniently located near Gilroy’s famous landmarks and destinations and our amenities, best-in-class services, entertainment and business accommodations are practically unmatched. Book your stay with us, whether for business or pleasure and find out what our customers are raving about. If you stayed with us recently, we would love to hear about your time with us and so would our future guests. Please take a minute to share your experience on TripAdvisor, best Hotels Gilroy CA by going here.